INVESTMENT OPPORTUNITY! The highway frontage consists of 6 city lots with a one-car garage and storage building right off LaZelle St. 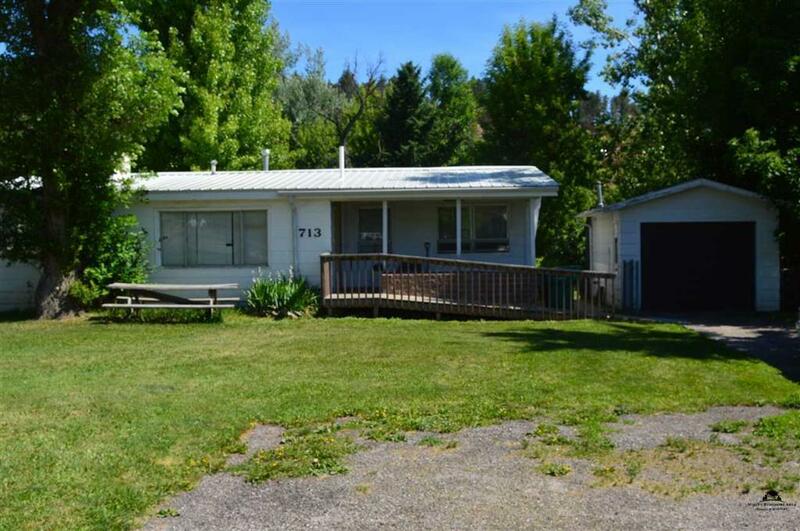 The property is zoned Highway Service through the city of Sturgis, and can be used for a business. The main level has one bedroom and a fully remodeled bathroom. Basement features 3 bedrooms, a kitchenette and one bathroom. The back yard has mature trees and borders Bear Butte Creek! There is an RV hookup in the front yard. Great location for a home or business. Listed by Casey Raftevold- Sturgis Real Estate & Auctions, Inc. 605-863-5282.